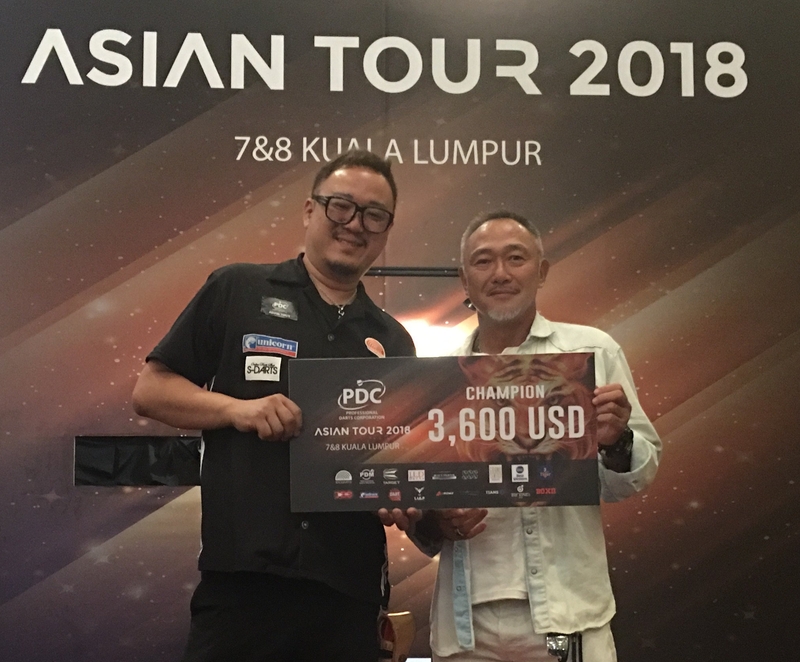 Team Unicorn star Seigo Asada was victorious on the fourth weekend of the 2018 PDC Asian Tour, as the circuit visited Kuala Lumpur. Japanese thrower Asada followed up his Asian Tour win in South Korea in March by opening the weekend in Malaysia in style. Asada landed an Asian Tour record average of 107.60 in his semi-final win over Lourence Ilagan, before edging out Royden Lam 5-4 in the final of tour event seven. Asada unfortuntely saw his hopes ended at the last eight stage of Tour event eight. However, scooping the $3,600 first prize in event seven, meant it was a good weekend's work for the Japanese no.1!